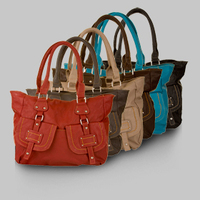 This gorgeous Veronica pocket tote is now available at nomorerack. They are very pretty and elegant. From the original price $34.99 now this tote is worth $15 plus $2 shipping. This is a very good to give as a gift specially graduation time. Below is the features of this tote bags. Click the image above if you want to avail this deal.